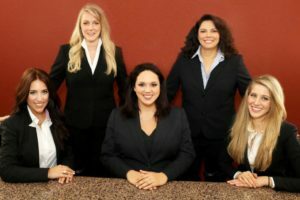 Cowen & Garza was founded by partners Sarah Cowen and Viola Garza with the intent of handling cases with honesty and integrity. The synergistic effect of the varied backgrounds and experiences of our team members has set us apart from other firms in the region. Cowen & Garza is 100% female-owned, certified by the Women’s Business Enterprise Council (WBENC), and a member of the National Association of Minority and Women Owned Law Firms (NAMWOLF) and the National LGBT Chamber of Commerce (NGLCC). We have assembled a diverse team of skilled trial lawyers with the experience and knowledge to litigate an array of civil defense matters at the local, state and federal level. Our commitment to diversity frees us to build a team focused on talent and the ability to deliver effective results to our clients across a variety of business communities.